At Campion, capacity building isn’t just one of our strategies; it’s a vital and key component of everything that we do. Achieving our mission requires Resilient Nonprofits: organizations with a strong vision, effective governance and leadership, robust fundraising, and sound operational systems. These organizations are best positioned to make change happen. We seek to leverage maximum impact from every dollar we grant by investing in our grantees to become this type of organization, and by investing in our own Capacity Building Program Officer to work directly with our grantees and the nonprofit sector as a whole. Because our grantees don’t operate in isolation; they operate as part of a growing nonprofit sector, a sector where overhead and infrastructure is historically underfunded. If we want to achieve our mission and for our grantees to achieve their program goals, we need to ensure that our grantees operate in a healthy nonprofit sector. That means funders committed to, and investing in, the capacity of their grantees and the capacity of the sector; funders with an understanding of capacity building and of grantmaking that supports their grantees’ success; and nonprofits with access to high quality nonprofit support services. So we invest, strategically, in building the philanthropic sector to meet the needs of nonprofits and in supporting a healthy nonprofit sector. When we increase investments in capacity and infrastructure, we increase impact, we respond more effectively to opportunities and challenges, and we fulfill the potential of the sector. We are proud to be a founding funder of Washington Nonprofits, working to develop a strong and sustainable statewide nonprofit association focused on strengthening the voice and capacity of the sector. Grantmaking: In the often stressful, always busy, nonprofit sector, employees are key to the success of their organizations but developing new skills and keeping abreast of changes in the field can often be overlooked due to time and budget pressures. We offer our existing grantees access to Professional Development Grants: small, quick turnaround grants to allow staff to attend conferences or trainings—anything which provides personal and professional growth opportunities. Leveraging Resources/Building the Field: We know we can achieve more if we work with others. We are a founding member of the Statewide Capacity Collaborative, a funders collaborative working across Washington state to elevate the nonprofit sector through public policy and advocacy, ensure the availability of high quality capacity building services, invest in and strengthen nonprofit leadership, and leverage funding and issue area expertise into greater capacity building investments and impact. Partnerships: We are proud to collaborate with leaders in the field, including Independent Sector, Grantmakers for Effective Organizations (GEO), Grants Managers Network(GMN), Philanthropy NW, and BoardSource. Download our Capacity Building Program Strategic Plan. 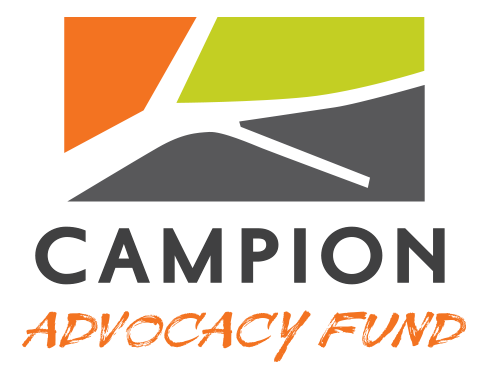 Campion Foundation provides capacity building support to (1) existing grantees in our wilderness and homelessness program areas, and (2) capacity building grantees who are working across Washington to build the strength and resilience of the nonprofit sector. Strategies and tactics to tone up your fundraising and build capacity.